Ang suggests using the bottom-up approach when picking stocks. Tushar agrees that now is not the right time to turn to defensive stocks. KUALA LUMPUR: Defensive stocks such as utilities, consumer staples and healthcare are not such a good place to hide out anymore. 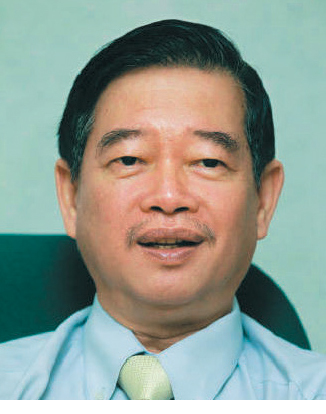 Indeed, for Phillip Capital Management Sdn Bhd chief investment officer Ang Kok Heng, there is no such thing as a defensive stock in current market conditions. “Putting your money in the bank is a safer bet [for potentially higher returns] than investing in defensive stocks for now,” he told The Edge Financial Daily, pointing to today’s volatile, uncertain market and economic environment. Ang suggests using the bottom-up approach when picking stocks. This means investors should be looking for stocks that have good growth prospects or strong fundamentals. “If the [share] price is attractive and [the company’s] growth [prospects] are good, then it will serve as a buying opportunity,” he added. The FBM KLCI fell to a fresh two-year low last Thursday, closing at 1,624.23 points, as heightened concerns over slower global economic growth prompted investors to seek refuge in safe havens. The benchmark index inched up 5.94 points or 0.37% to close at 1,630.17 last Friday. Last week’s downward revision of the 2019 global growth forecast by the International Monetary Fund to 3.3% from 3.5% did not help matters. The fund had earlier this year revised down its growth forecast from 3.6%. Nomura head of equity research for Malaysia Tushar Mohata agrees that now is not the right time to turn to defensive stocks. That is because the defensive stocks on Bursa Malaysia have underperformed their Asean counterparts “significantly” due to strong outflows from foreign portfolio investors, he said. According to last Monday’s fund flow report by MIDF Research, on a year-to-date (YTD) basis, foreign funds have sold RM1.76 billion net of local equities. Among the four Asean markets (Malaysia, Thailand, Indonesia and the Philippines) it monitors, Malaysia has now surpassed Thailand to become the nation with the largest foreign net outflow. “Investors may want to consider looking at high beta stocks, which are trading at steep discount to their long-term average trading multiples. The near-term catalysts of these stocks could be improving earnings momentum,” said Tushar. He believes that these high beta stocks are likely to rally when Bursa reverses course and outperforms its peers in Asean. His top picks are CIMB Group Holdings Bhd, Hartalega Holdings Bhd, Gamuda Bhd, Genting Malaysia Bhd and Malaysia Airports Holdings Bhd. For investors who want exposure to defensive sectors, Tushar pointed out that real estate investment trusts (REITs) are one due to their stable yield. RHB Research Institute head of Malaysian research Alexander Chia said for domestic investors that need to remain invested in local equities, the preservation of capital will be a key priority. “Adding some defensive names to one’s portfolio continues to make tactical sense, given the prevailing risks that are still unfolding. These companies should have strong earnings resilience that can ride through market upheavals,” he added. Chia is recommending stocks such as Berjaya Sports Toto Bhd, Heineken Malaysia Bhd, Mynews Holdings Bhd, Nestle (Malaysia) Bhd and QL Resources Bhd. However, in the short term, Chia said investors should be aware of the persistent selling by foreign portfolio investors and hence, be wary of stocks with large foreign shareholdings. He also noted that only large-cap stocks have underperformed this year, while small-cap stocks have performed well. YTD, the FBM Small Cap Index has risen 18.29% to close at 13,365.62 points last Friday, while the KLCI has fallen 3.57%. Noting that it is a trading market now, Chia said funds need to make money and achieve alpha or active returns on their investments. “The market is now very short-term and the valuation [of Malaysian stocks] is not that cheap even at current levels,” he added. Hence, he opined that investors should look for pockets of opportunity, beaten down stocks, value buys and undervalued stocks. While current market conditions have not been really positive and it is seen that even defensive stocks have been underperforming so far this year, analysts still see some silver lining in defensive stocks. UOB Kay Hian Malaysia research head Vincent Khoo expects defensive stocks to underperform the broader market in the near term, as the government steps up fiscal stimulus activities via megaprojects. This is also to respect the sanctity of government contracts, especially pertaining to its proposed acquisition of Gamuda’s highways, he said. “In such a scenario, we foresee improved investor confidence and foreign equity flows turning positive,” he added. However, there are still some defensive stocks which continue to have modest appeal and these include high dividend yielders such as IGB REIT and Magnum Bhd. Khoo said stocks that will continue to remain attractive include selective beneficiaries of megaprojects and trade diversion. Meanwhile, stocks to avoid include selective glove manufacturers as clarity on demand and supply dynamics is needed; selective technology companies on the back of anticipated weak first quarter of 2019 results season; and Telekom Malaysia Bhd where UOB Kay Hian will need to assess the magnitude of its fall in broadband access average revenue per user. 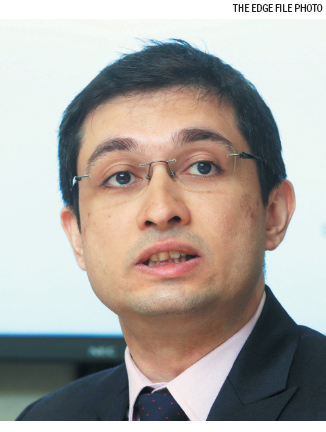 MIDF Research head Mohd Redza Abdul Rahman is of the view that defensive stocks can still be a safe haven when it comes to consumer consumption and dividend play. In relation to consumption, he noted that the distributive trade was still growing at 6.5% year-on-year (y-o-y) in February, albeit moderating from 7.8% y-o-y in the previous month, due to a shorter month and the festive holidays. Retail growth was 8.5% y-o-y, while wholesale and motor vehicles grew 5.8% y-o-y and 2.4% y-o-y respectively. “This shows consumption remains strong among Malaysians,” said Redza. He said stocks with “still strong earnings”, coupled with stable dividend payments, should also be considered amid these trying times. “Companies with strong earnings would provide a stable flow of future dividends and with market sentiment negatively affecting the price movements, this could present a good opportunity to accumulate stocks with high dividend yields. “So, investors shouldn’t just look at historical dividend payments alone; they also have to look at the defensiveness of the companies’ profits,” he added. MIDF Research is recommending stocks such as DiGi.Com Bhd, MBM Resources Bhd, Petronas Dagangan Bhd and UOA Development Bhd. Despite concerns over a potential cut in the overnight policy rate by Bank Negara Malaysia, which may negatively impact banks’ profitability, Redza also likes CIMB and Malayan Banking Bhd, noting that their share prices have fallen a lot over the past year.